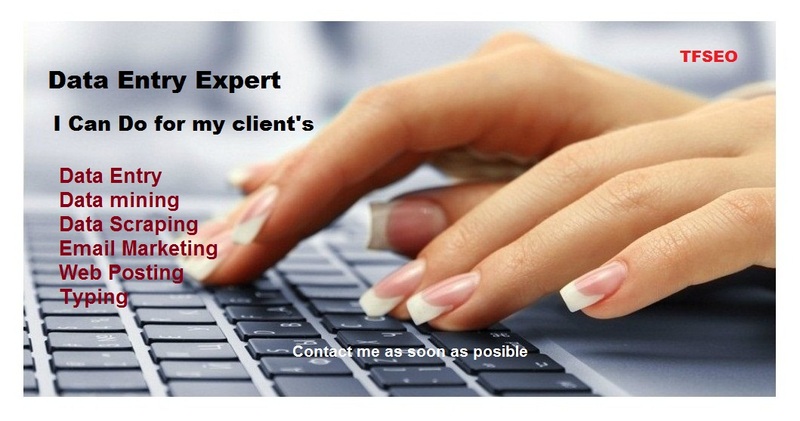 I can do for my dear client. Business and academic writing work. Finding /Sending Emails from Websites. Data entry from websites to Excel. Data entry from PDF files to Excel. Data entry from image files to Excel. Data entry from Word to Excel..
Online Data Entry in Websites. 100% Real and organic work.